DESCRIPTION Wow...! This house has amazing value and checks all the boxes to make an amazing home. 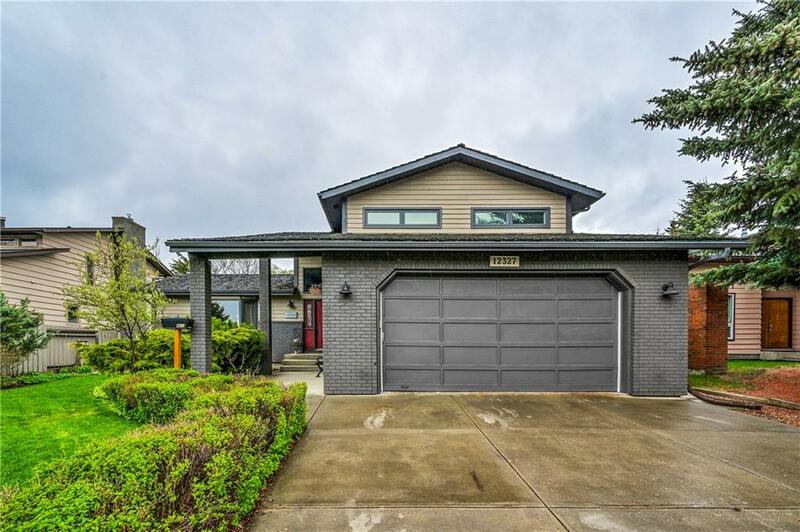 Located in a quiet cul-de-sac just off the Canyon Meadows Golf Course, walking distance to schools and beautiful Fish Creek Park. Boasting SIX large bedrooms.. 3 upstairs.. 1 on the main floor, and another 2 in the finished basement, with up-to-code egress windows. The MASSIVE backyard that is west facing with south sun exposure is donned with gorgeous flowers and shrubs. This home has almost 3,000 SQFT of total developed living space, including a giant storage room larger than most condo's..seriously! The Curb Appeal... this home has been very well cared for and landscaped with attention to detail. The entrance is protected by a luxurious vaulted veranda and greets guests with a welcoming warm red door. Additional security updates like the rolling Top Rollshutters® that add privacy and peace of mind. This is the perfect family home, which has been meticulously well cared for. This should be on your must view list.